Some weeks ago we were dealing with “faith and science” in my class. For a few days I was carrying around a copy of a big, fat book by inventor and futurist Ray Kurzweil: The Singularity Is Near. 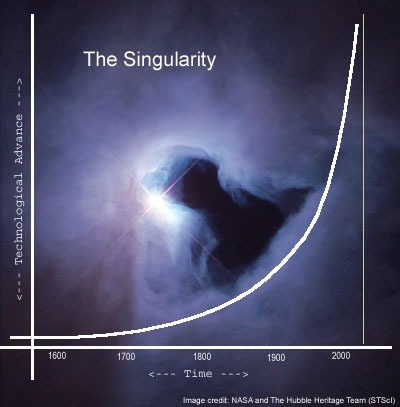 “The singularity” is Kurzweil’s name for a moment coming our way in the not-so-distant future when the pace of technological progress reaches a critical breakaway point. 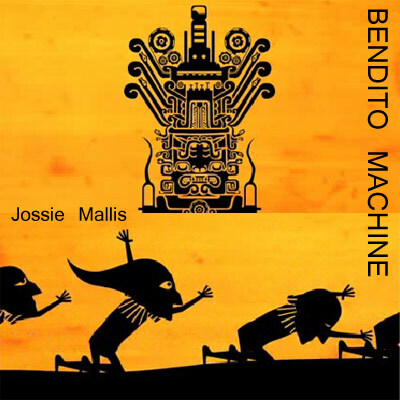 Humans and machines merge and in a sudden, ‘whoosh’ of geometric progressions we can scarcely imagine now, human life is utterly transformed. Mostly, I find the material terrifying. More on that in a future post; It puts me in a winter mind and I’m ready for spring. But a series of articles and ongoing news about Apple Computer in the NY Times, despite sounding dark chords that remind me of Kursweil’s vision, also have me wondering whether a much more hopeful breakaway point in human history might be approaching. Two sprawling articles, one in late January and the second in mid February, focus on Foxconn, Apple’s main manufacturing sub-contractor. The stories have many people taking a closer look at the glossy, futuristic, seamless, Steve-Jobs-designed iPhones and iPods we carry in our pockets or purses. They take us into the very real and present world from which these objects come: a world few of us can imagine, much less comprehend. And they remind us that there are people and communities in these places to whom we ought to feel intimately connected and for whom we are, to an important degree, responsible. 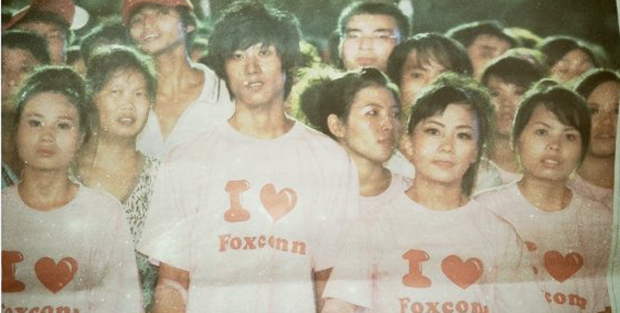 Check out the first piece highlighting the manufacturing processes at Foxconn here. 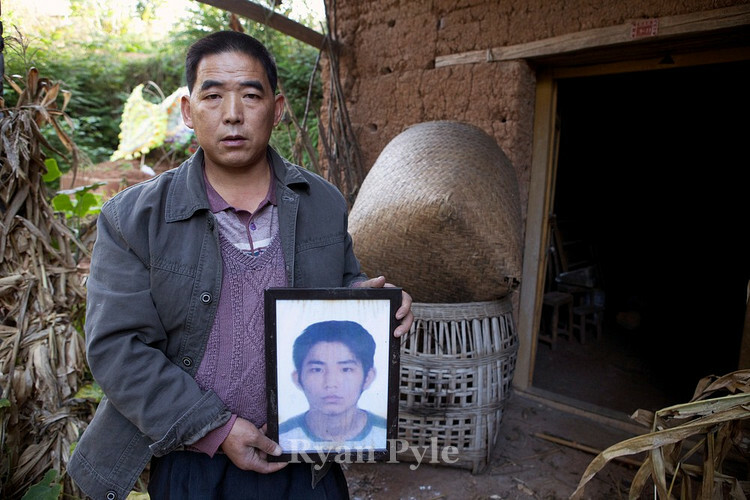 And the second article focussing on the human costs of producing Apple products here. 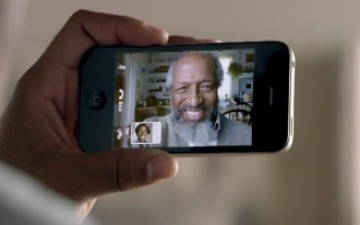 Apple sold 160 million devices last year. In the last three months they recorded one of the most lucrative quarters of any corporation in history, generating $13.06 billion in profits on $46.3 billion in sales. With 43,000 U.S. workers and 20,000 overseas, Apple earned $400,00 per employee, beating Goldman Sachs, Exxon and Google. But the story of the seamless wonder in your pocket is much bigger than that: it takes over 700,000 independent contractors to actually engineer and assemble the iPhone. And that’s where Foxconn comes in. 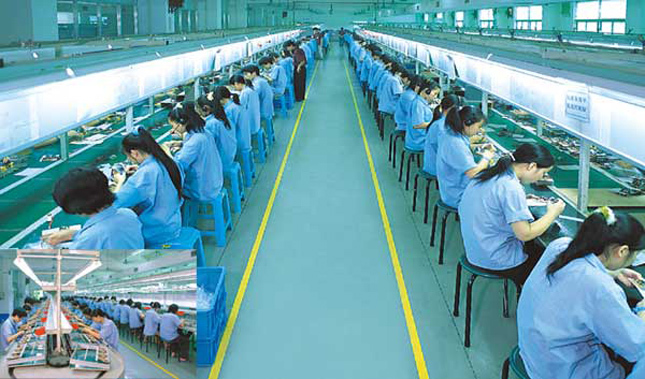 Its 1.2 million workers scattered across the world assemble an astounding 40 percent of the world’s consumer electronics. North of Shenzhen sits their largest campus. 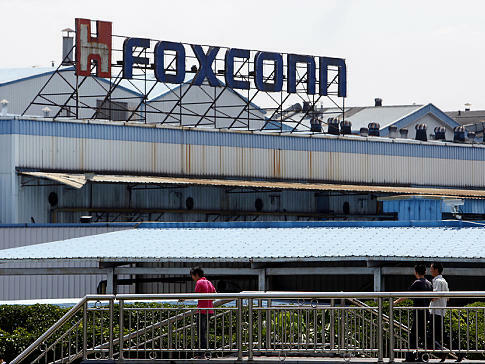 Commentators are calling it “Foxconn City” for want of a better name. It is a manufacturing facility with dorm-style living space for 200,000 and hundreds of more “luxurious” three-room apartments typically stuffed with 20 workers per unit. 300 guards are employed just to direct foot traffic to and from the factories to keep workers from trampling each other to death at bottlenecks. In 2007, a mere month before the iPhone was due in stores, Steve Jobs changed his mind about the screens. It seems that though they were made of a scratch-resistant plastic, the one in Steve’s pocket got scratched anyway. “I want a glass screen and I want it perfect in six weeks,” said Steve. And so it happened. Corning, Inc. could make the glass, but there was no manufacturer in the world’s largest economy that could gear up to cut and polish all those pieces in time to ship them for assembly. By the time Apple’s execs got to China to ask them about the task, Foxconn had already started construction on a dedicated factory wing for the project. Free cut-glass samples were ready for inspection when the Apple team arrived. Battalions of engineers stood ready for orders. On-site dormitories would be available 24 hours a day for the production crunch. They got the contract, of course and a month or so later, the glass arrived in the middle of the night. 8,000 employees were awakened, fed a quick breakfast of tea and biscuits and set to work installing them in 12-hour shifts. The particulars of all of this have been a matter of some secrecy until very recently. The NYT pieces do us a great service: educating our imaginations about the reality of industrial culture on this planet. These are mind-numbing realities at a scale most of us in the States have not yet absorbed. It is also a scale which we are likely never to be able to match. When President Obama famously asked last year why the iPhone couldn’t be made right here, it struck me just how deep our national ignorance of the magnitude of this global industrial transformation really goes. We meet Lai Xiaoodong whose youth and ambition led him on a pilgrimage to Chengdu, city of the iPad and 12 million souls. He worked in a crew among 120,000. Each day at work he was greeted by a sign which read: “Work hard on the job today or work hard to find a job tomorrow.”And so he worked, often 12 hours a day, six days a week for $22 a day. Each night he retreated to a small bedroom just big enough for a mattress, wardrobe and a desk where he obsessively played an online game called “Fight the Landlord.” He died in an Aluminum dust explosion that was 100% preventable with simple technologies that have been around for decades. His girlfriend reports that his face was partially melted away and that she was grateful that his suffering lasted days rather than weeks. We read about workers forced to stand for hours on overtime shifts until their legs swell so much that they can hardly walk. Of thousands of employees cleaning iPhone screens with chemicals known to be poisonous. We are told that some of the exteriors of the facilities are fitted with mesh suicide nets due to a rash of attempts in 2010. My brother-in-law travels to industrial China frequently for business. I’ve never spoken with him at length about what he’s seen, but I’ve watched him go quiet when I ask about it: his face clouds over, his sentences trail off into silence. These articles helped me understand why. I wanted to record my thoughts on these pieces as soon as I read them months ago, but I was too overwhelmed. So many important angles struck me at once. I’ve been meditating on them, trying to sort them out, feeling clouded over and distracted as I go through a day. If there are any itinerant preachers left out there looking for parable material, I can’t imagine better stuff. But they’d have to find a way to translate the massive scale of these stories down to individual lives: the worker carrying hopes, dreams, family obligations and very little else to the factory floor every day; the corporate officer earning a good, great or gargantuan salary, but dealing with complex pressures and burdens for which we all also, as consumers, have some level of responsibility. But as the plot lines and character sketches for potential parables coalesced in my imagination, I was surprised to find themes of hope emerging next to brutality and pathos. Clearly we’re seeing shockingly new and rapidly evolving socio-economic structures. But might we not also be witnessing a new moment in the human story? A chapter in which our communal will, imagination and creativity are being directed in a powerful, new way toward the spiritual work of building human communities rooted in hope and love? I want to be clear that I find most aspects of this story very disturbing. I was a middle-schooler in a Catholic school system that taught me to recognize and condemn the exploitation of workers. As a college kid I was haunted by visions of rugs made by children locked away in airless Pakistani factories and California fruits and vegetables harvested by workers sprayed with the same pesticides used to kill the pests. 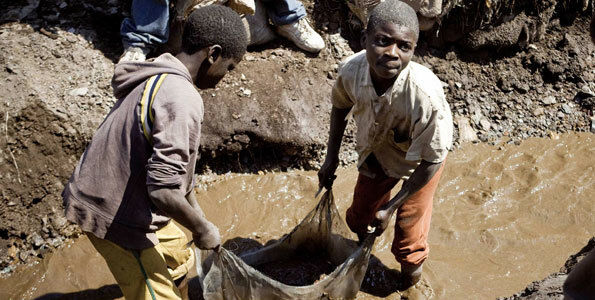 Most recently I am grieved, among many other examples, by the stories of Congolese children forced to work in industrial mines in horrific conditions. Nevertheless, let me try to explain why this Foxconn story has me wondering if a very powerful–and potentially humanizing– industrial “singularity” may be coming into view. Think of Apple’s marketing campaigns. You may or may not like the look and feel of their messages yourself, but I would suggest that they have tried to associate their products with something spiritual in the nature and purpose of human beings. 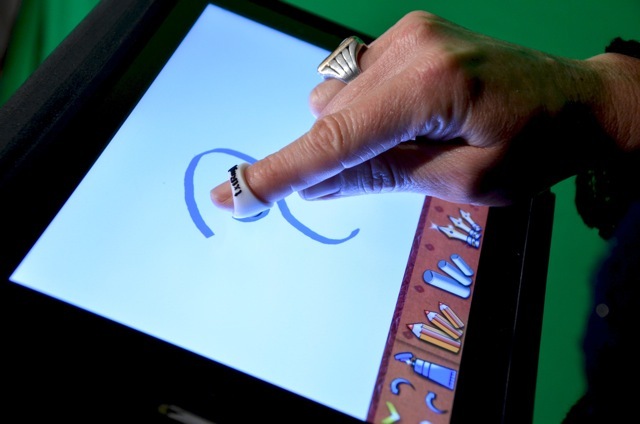 We dance ecstatically with their iPods, smile into one another’s beautiful faces with their iPhones, tap into our deepest creativity or devote ourselves to the pursuit of art and wisdom with their iPads. 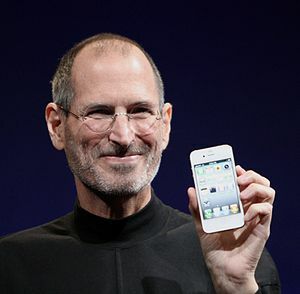 What was Steve Jobs deepest legacy? He wanted the machines to conform themselves to the scale of our lives, to the appetite of our eye for beauty and elegance, to the deepest desires and longings of our hearts. In short, they were to exist for us and not the other way around. This campaign has been stunningly successful around the world. People want to use objects that are totems for their own freedom, independence, uniqueness and, yes, dignity. And they are willing to pay for them even when functionally similar products are available for much, much less. The NYT piece makes it clear that Apple’s message is profoundly at odds with the realities of life for workers at Foxconn. 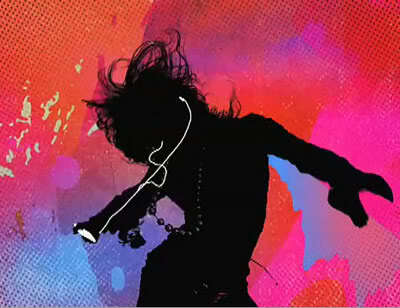 And Apple knows it. For all I know, this may actually grieve some of the folks in positions of power at Apple. Across a kitchen table they would probably tell us about the colossal forces of a world market for materials and labor and the intricacies of contracts with subcontractors. About how it may take a long time for a real middle class to evolve in Asia. But they can’t have that conversation with a global public dancing with their products. And they don’t plan to try to defend these abuses. They also don’t plan to allow the NYT or anyone else to define their brand by telling more of these compelling, human stories of exploited workers creating their beautiful, seamless objects. So, they have decided to actually respond to the problems. A code Apple published in 2005 declared “that working conditions in Apple’s supply chain are safe, that workers are treated with respect and dignity, and that manufacturing processes are environmentally responsible.” Steps the company is taking now seem to be moving from rhetoric to reality. For the first time, the company released a list identifying many of its suppliers, in effect, taking responsibility for every part of the process involved in producing their products. They completed over 200 audits of supplier factories last year and their annual supplier responsibility reports disclose abuses we might not otherwise have know about. They show that half of the suppliers audited by Apple have violated at least one aspect of the code of conduct every year since 2007. But this information comes to us from their own reports. One highly placed ex-Apple executive reports in the articles that “suppliers would change everything tomorrow if Apple told them they didn’t have another choice.” It will be hard for Apple not take meaningful action now that they have publicly started down this road. Will those of us who use these products care enough to let them know we demand they walk down this road? Will that road lead to beautiful, functional electronic products produced by people who are treated with dignity and are being offered futures consistent with the kinds of values the company celebrates in its advertising campaigns? How long will that take? What if what we are seeing is the beginning of a new breakaway point in global consciousness about workers and products? What if this is the beginning of a new ethos in consumer culture in which we realize that we want to consume–and are willing to pay for– products that dignify users and makers? What if what we are seeing is an emerging industrial playing field where more bright lights and cameras mean no more room for industrial criminals to hide? If it is true, as one international captain of industry put it, that “every company wants to be Apple today” these pieces in the NYT may be pointing to a transformational moment in human history. The Foxconn website is weirdly spare. It features a large photo of a group of young employees leaping into the air. It is a chilling image. I’d just read about their factories when I first saw it and I found the juxtaposition of the “leap for joy” message and the grim realities of workers’ lives deeply disturbing. But after looking at it for a few more minutes, I could see how they’d gotten the shot: someone had thrown something, a frisbee perhaps, and had instructed them all to look at it and jump to catch it just before it entered the frame. Or perhaps it was simply edited out. At any rate, it is a phony and we can feel it. The image takes its place in a long and terrible line of propagandistic attempts on the part of management and capital to lie about the happy, fulfilled lives of laborers. Here’s hoping that these NYT stories prefigure a new climate of resistance to these kinds of lies and even, perhaps, a new era of genuine universal aspiration to square our spiritual language and imagery about the value and dignity of persons with the reality of the individual and communal circumstances of workers. Several weeks ago the NYT reported that monthly wages at Foxconn will rise by an average of $400 this year. Beautiful post, Jim—thoughtful and wide-ranging. Thanks.